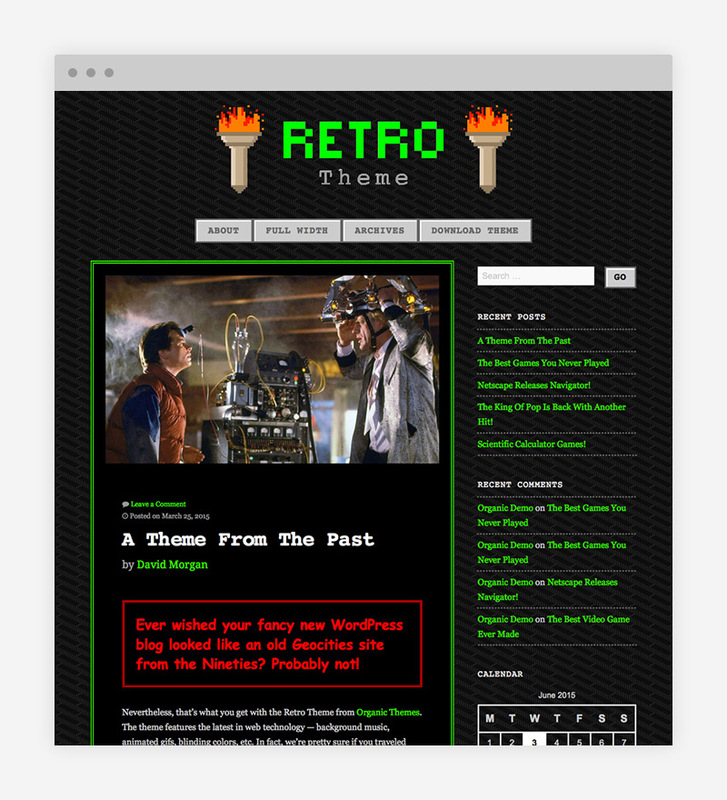 I created this theme as an April Fool’s joke for Organic Themes. It’s designed to look like a crappy Geocities website from the 90s — complete with animated gifs, pixel fonts and a midi soundtrack. Despite the theme being released as a joke, it’s grown to be somewhat popular.